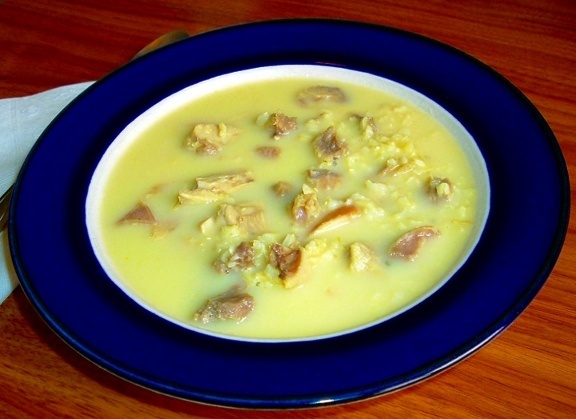 This avgolemono soup recipe is a classic Greek egg lemon soup dish. Egg-lemon is not a flavor everyone loves but having grown up with it it’s one of my favorites. To some freezing this would be blasphemy because the soup should only be served fresh and frothy but I don’t care for the frothiness, I just love the flavors. Thus there are many different techniques to this soup but I prefect a simple, non-frothy approach. Simmer the rice in the chicken broth in a large pot, time will depend on the type of rice. When the rice is done remove the soup from the heat and add the cooked, cut chicken. Crack the eggs and whisk them together in a medium sized bowl. Add the lemon juice to the eggs. Temper the eggs by adding a ladle full of broth to the egg lemon mixture. If the eggs cook, or scramble, throw the mixture away and start with fresh eggs. Adding a small amount of broth slowly to the eggs should prevent them from scrambling and bring them slowly up to temperature with the soup. I usually add a second ladle full of broth to be sure the eggs are warm enough then add the egg lemon mixture to the pot. Serve hot with buttered homemade bread on the side. What Other Variations Can I Try? For a more classic variation separate the eggs and beat the whites until they form soft peaks. Beat in the egg yolks one at a time and then add the lemon juice. Temper the eggs with the hot broth and then mix it all together. How Can I Make This Healthier? This is a pretty healthy recipe to start with. Brown rice will give more nutrition than white also fresh homemade chicken broth is more nutritious than bouillon. How to Freeze Avgolemono Soup. 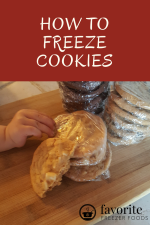 Freeze it meal sized family or individual portions. I freezer my soup flat in freezer quality plastic bags. This soup will separate when reheated even if it wasn’t frozen. Thus it needs to be stirred well before serving. 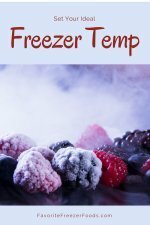 Thaw in the fridge overnight or cook from frozen in the microwave or on the stovetop. If you reheat on the stove add a little water to the bottom of the pan, just enough to keep the rice and chicken from burning before the broth melts. No need to boil, just heat until warm enough to eat. Learn more about homemade freezer friendly soup. Return from Avgolemono Soup Recipe to the homepage of Favorite Freezer Foods.